Alexandra Manley in Chinese would sounds like this " A Li Shan Da ". Princess Alexandra has had 3 Ladies In Waiting in the years she has been a Princess. 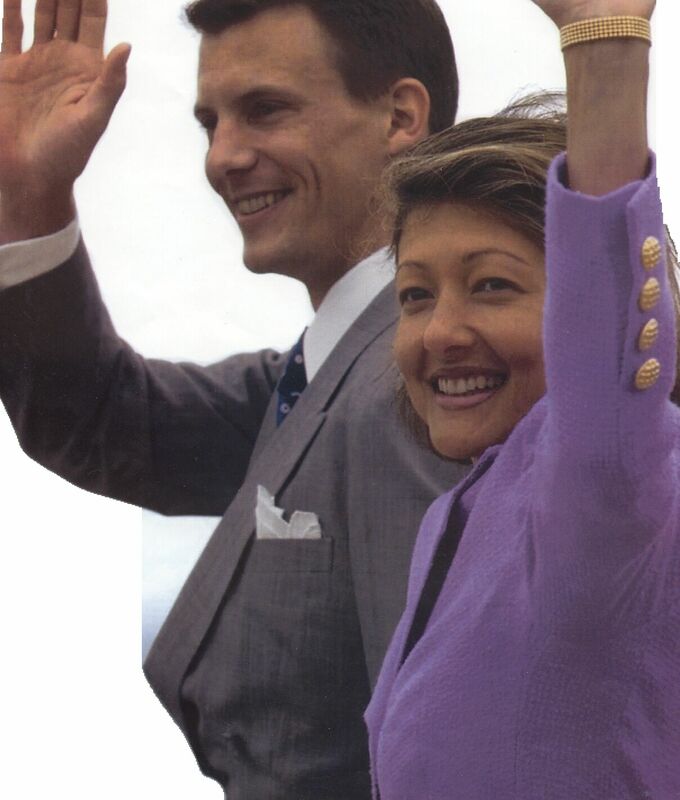 Her first Lady In Waiting was Susanne Ingrid Vind, by Fall 1996 - 18 Sept. 2001. 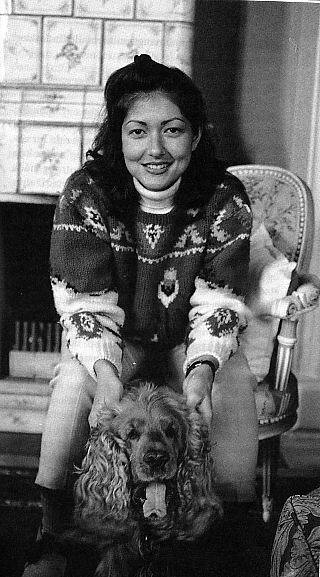 Her second Lady In Waiting was Annick Boel by 2001-2003. 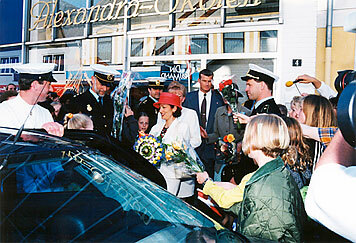 Annick Boel with Princess Alexandra Sept.13, 2002. 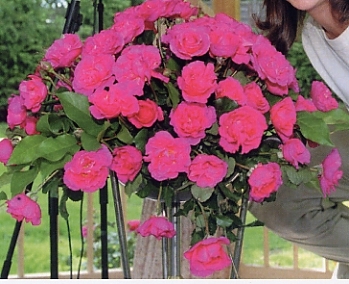 A pink flower was named after Princess Alexandra in 1996 and took place at Schackenborg Park. 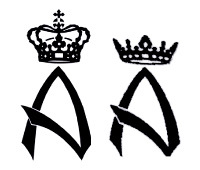 In 1996, a fashion school in Frederikshavn was named after the Princess called "The Alexandra School for Tailor and ready-made clothing." In Danish: "Alexandra Skolen For Skrædderi Og Konfektion." 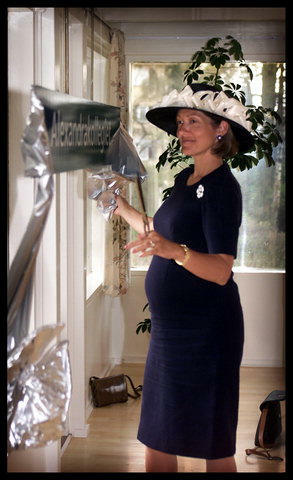 Another place was named after the Princess in 2002 a home for young mothers. That took place in Valby called "Alexandrakollegiet". 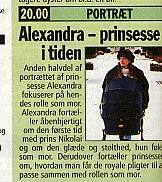 In 2000, DR TV showed 2 programs about Princess Alexandra ( Portrait ). 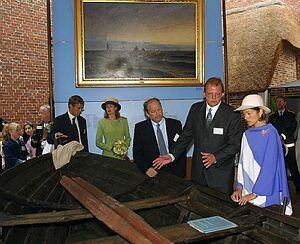 It was called "Alexandra Prinsesse I Tiden". 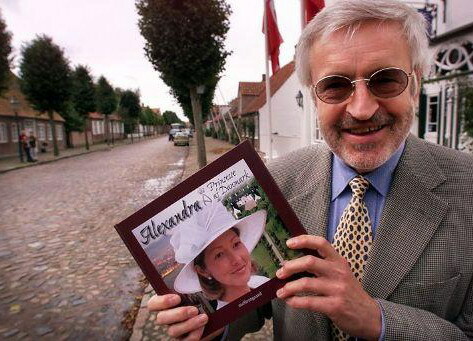 In 1997, a fan club for Princess Alexandra in Denmark was made by these 2 girls. 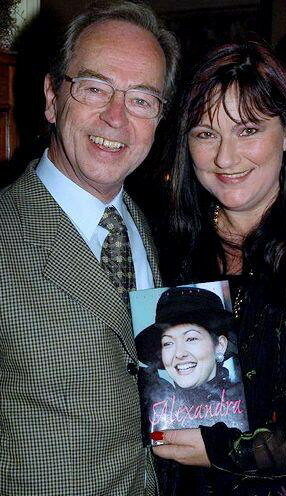 Princess Alexandra got her own music march on the 24 March 2004. 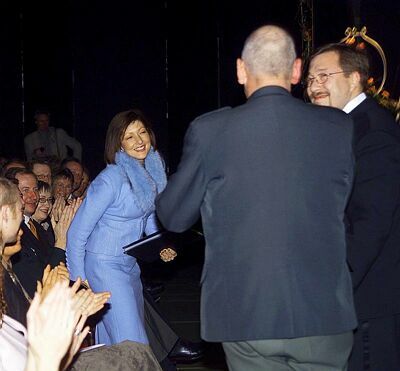 It's called " Her Royal Highness Princess Alexandra March "
Coming out May 7, 2007 . It has over 50 photos all in color , Danish text ( sorry ) telling her story from the day she came to Denmark in May, 1995 until she married Martin Jörgensen on March 3, 2007. 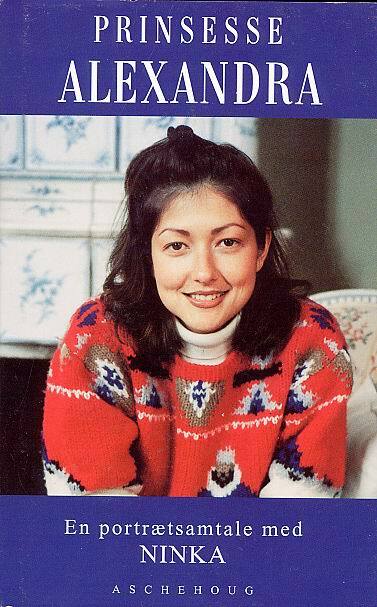 The book tells the story about her life as a Princess in private and job. 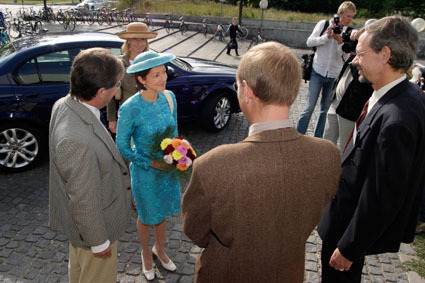 Her divorce to Prince Joachim and her life after 2004 as Alexandra Christina Countess of Frederiksborg. Hard cover book , 90 pages. YOU CAN STILL GET THE BOOK .